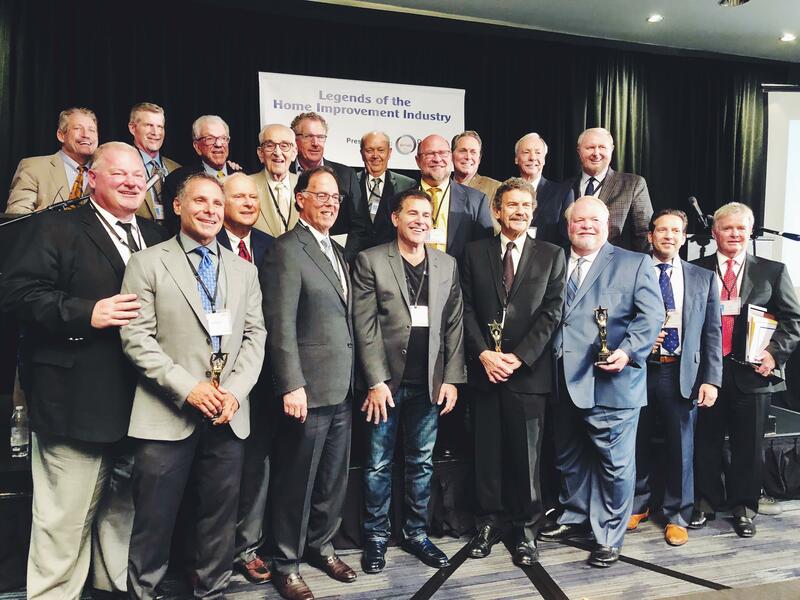 ANAHEIM, Calif., January 3, 2019 – Vince Nardo, President, and Anthony Nardo, CFO of Reborn Cabinets were recognized at the “Legends of the Home Improvement Industry” awards ceremony in November. 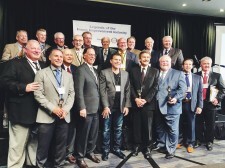 This year The Legends of the Home Improvement Industry was held in Baltimore where eight other home improvement companies were also honored. This industry award is given to home improvement leaders who exemplify creativity, positive leadership, and customer care. These are the foundation and standards that have become benchmarks in the home improvement industry. This award is voted on by peers, mentors, and friends, who have pioneered the home improvement industry. 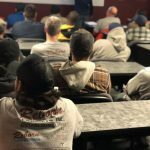 Nominations are submitted by peers from the industry; then, prior recipients and members of the Dave Yoho Associates consulting firm cast deciding votes on the award winners. Anthony and Vince are honored to have their names aligned with these amazing industry leaders. They dedicate this award to founders Vinny and Brenda Nardo who founded Reborn Cabinets 35 years ago. While the family was on welfare and looking for a better way to provide for their family, Vinny and Brenda Nardo, (Vince and Anthony’s mother and father), left New York and headed to California with hand tools and an aging station wagon. 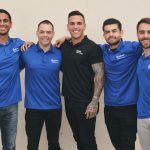 With a desire for a better life and the determination to make it happen, Vinny launched Reborn Cabinets in 1983 in a 1,200-square-foot shop in Anaheim, California. Vince and Anthony joined their parents’ business as teenagers, working in the cabinet shop. In 2000, Vince became the sales manager and Anthony managed the back end of the business. By 2009, Vince became President, and Anthony CFO of Reborn Cabinets, which today produces $52 million in annual sales. They operate from a 40,000-square-foot manufacturing facility with a 10,000 square foot showroom. Today, Reborn Cabinets has showrooms in Anaheim, Torrance, Lake Forest, San Diego, and Pleasanton, California, and Las Vegas, Nevada. 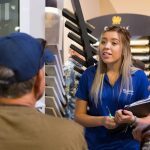 In addition to kitchen and bathroom replacement, they are one of the largest independent cabinet-refacing companies in the U.S. with 85 salespeople including nearly 500 team members. 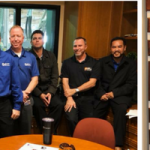 ANAHEIM, Calif., December 27, 2018 – ​​​Reborn Cabinets’ – 35 years in business would not be recognized as one of The Top Places to Work for 2018 without our nearly 500 team members,” says Vince Nardo, the President of Reborn Cabinets. That’s over three decades of twists, turns, distinct accomplishments, and unavoidable failures. But without persistence, dedication and learning from the past, Reborn would not be nationally recognized as one of The 2018 Top Places to Work. 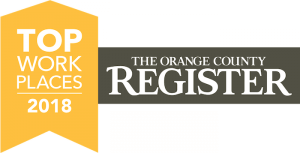 This year, the Orange County Register recognized 140 companies and organizations in Orange County as Top Workplaces for 2018. The Orange County Register believes that creating a top workplace is about more than offering great benefits and vacation time. It’s about organizational health. Employees want to align with the company’s vision, be challenged by a high-performance culture and feel they’re valued and their voices are heard. These companies have been recognized based solely on surveys by their employees. At Reborn Cabinets, we’ve created a family work environment because we’re a family-owned company started in 1983 by Vinny and Brenda Nardo. Now their sons, Vince Nardo, President, and Anthony Nardo, CFO lead the company.